I guess your are here because you so damn waiting to get and experience one of most popular Mobile Instant Messenger called BlackBerry Messenger (BBM). It’s known that BBM is an exclusive IM Mobile services for many years, exclusive for BlackBerry Smartphone by RIM. But today, it’s official that the RIM will open the exclusiveness of BlackBerry Messenger to the outsider: Android and iOS devices. Here we just wanna help you to get the download link of BlackBerry Messenger (BBM) for Android. We will give you the download page at Google Play Store. It will alive on September 20, 2013. And for the BBM for iOS, you must wait a day later to get the download link of app on September 21, 2013. 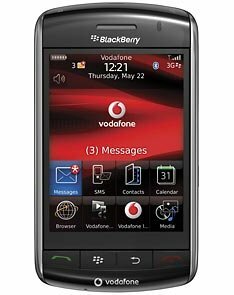 BlackBerry Curve 9300 used GSM 3G HSDPA / UMTS Technology for its Networks carrier and the BB Curve 9330 used CDMA Networks Carrier, the others differences between those two including the Internal Memory, Color Body and also the Weight. Forget about the specifications of Blackberry Curve 9330 and 9300. Just like what the title of this post said, if you looking for Yahoo Messenger for BlackBerry Curve, you can just download from the official site of Yahoo Messenger for BlackBerry at blackberry.com or at yahoo.com. BlackBerry Messenger Manual – User Guide is an official guide for BlackBerry user (for example BlackBerry Storm 9500) while they want to understand and learn to use the blackberry messenger. It really recommend for new user of BBM (BlackBerry Messenger). The Manual of BBM User Guide consists of many sections and topics on using the BlackBerry Messenger: Basic understanding and learn, shortcuts explanation and help, availability, contacts, chats, blackberry groups, contact list backup, glossary, feedback, policy rules of IT, and Legal Notice. This post create has the purpose to deliver an information to understand the Icons Indicators that appears in the BlackBerry Messenger. Its will help you to learn how to use BlackBerry Messenger. The Indicators Icons devided into 3 sections: Indicator Icons for Contact List Screen, Indicator Icons for Chat Screen and the last is Indicators Icons in BlackBerry Group Chat. this indicator icons means that it new item, you can remove this icons by open each of item that appeared with this icons. this icon refer to new BlackBerry messenger has appears, just clear this icon by open each chat that has this icon and earch item that has new notification indicator. Many of mobile phone fabrication and also the Operator, in this time, launch a smart phone / mobile phone that also by default run an Instant Messenger in it. It including Personal Phone Instant Messenger just like Ping in iPhone or BlackBerry Messenger in BlackBerry Smart Phone. Others Smartphone developers also launch this kind of Instant Messenger Phone to Phone, such as Nexian Messenger. Using Instant Messenger / Chatting with PIN (like username / Chat ID) in Mobile Devices (BBM for example) would make us deliver messages faster and cheaper. In the other hand, Short Message Service that also known well as SMS is another kind to deliver messages. The purpose of both of them (Instant Messenger and SMS) is the same. It for communication in text messages.